Last weekend, the Hack With Refugees hackathon took place in the heart of Europe (yup, that’s Brussels — eat that, Donald!) to execute on ideas that have been generated for over two months on a dedicated CitizenLab platform. We took away some valuable learnings from this civic hacking project. In total, we collected over 85 ideas by 150 registered Brussels citizens and filtered the most promising projects through more than 400 votes. This group of civic hackers — i.e. citizens with different kind of backgrounds who collaborate on co-creating solutions as a response to social, environmental and economic challenges relevant to their city — did an incredible job. 60 of them finally came together at transforma bxl to elaborate on the crowdsourced ideas. Although all the ideas were impressive, ‘Popup Factory‘ — a maker space empowering refugees to get integrated and recognised by leveraging their manual and technical skills — got rewarded as the winner. 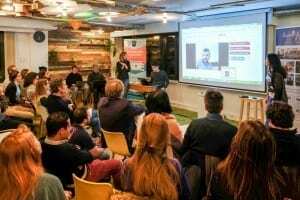 Here’s an article [in French] written by the Belgian newspaper Le Soir about the outcome of the hackathon: “Entreprendre pour aider réfugiés“. The combination of crowdsourcing ideas + elaborating on them during a hackathon has proven to be a very effective way to make impactful projects within a short period of time. When you’re crowdsourcing ideas for a specific campaign or project, it’s important to have a clear timeline from the start. Instead of opening a platform without a plan, it’s better to start crowdsourcing as from an indicated point in time, which was communicated in advance. If there’s one thing you want to avoid, it’s that people would arrive at a virtual ghost place (i.e. a platform without any content yet). Also in terms of the crowdsourcing process, make clear which stage you’re currently in. Our CitizenLab platform makes use of timelines to display this staged ideation process. In the early phase, you focus on the ideation. Later on, the collective brainstorm should take place and near the end you want your citizens to have set their preferences through up- and down voting ideas. Good old e-mail is still the most effective digital marketing medium. Especially to keep the user coming back to your crowdsourcing platform, email marketing stands out. Whenever the citizen gets replies on their ideas or comments, gets mentioned by another user or their ideas reach a critical number of votes, they will get notified through email. A simple but highly effective way to keep citizens coming back to the platform! Next to that, it is key to keep subscribed users in the loop about what has recently happened on the platform. The way we approach this at CitizenLab, is through sending out a automatically generated weekly newsletter with the top ideas and top comments of the past week. Minimum effort, maximum impact. Well, you might think “that’s easier said than done” — and yes, that’s true. But still, there exist some excellent hacks to increase the engagement within your community and reach a wider audience. It’s low hanging fruit, but often forgotten: never ever let someone arrive on a platform that feels empty. Create some initials posts and early engagement in order to make it feel alive. One of the best ways to increase the signup rate is through reaching out to influencers in the city, possibly related to the domain you’re crowdsourcing ideas in. The exponential effect of influencers sharing your campaign with their network allows you to grow organically. You should not only reach out to influencers in the field — i.e. people with a high ‘Klout’ score (social media influence) — but also to experts, the ones who are in the field. In our case, we worked with refugees to get their input on how valuable a potential solution would be for them. Just as for citizens who are the users of the city’s end services, crowdsource input from them who have most expertise and/or interest in that specific urban challenge. In the context of crowdsourcing ideas to help the integration of refugees, it is now such a hot topic in Europe that almost every big city has set up an initiative to explore what we as a citizen can do. A lot of value would be lost if you’d urge your citizens to only think about radically new ideas. This can be extended to civic engagement and co-creation in general. Many cities face the same challenges and, after a while, best practices get developed. Sharing your knowledge between cities and discussing the implementation on a more context-specific and pragmatic level avoids that you have to reinvent the wheel. Final presentations at the Hack With Refugees hackathon. Citizens should have the possibility to share their input 24/7 with you. By merely organising an offline hackathon to generate ideas, you’re not using technologies to help you reaching wider audiences and leveraging your potential impact. On the other hand, a civic hackathon helps the city digest all the valuable input it gets. Some ideas cannot be realised by the city government, but need initiative from the bottom, from entrepreneurial citizens. That’s why a hackathon is perfectly complimentary to crowdsourcing. 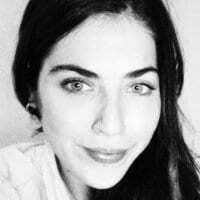 Crowdsourcing ideas in your city? We’d be happy to help you with our online platform, optimised to crowdsource creative ideas for civic challenges. Get in touch at hello[at]citizenlab.co. Founder of CitizenLab. On a mission to shape local democracies for the digital age. Proud Forbes 30 Under 30 Europe & YTILI Fellow. Talk to me about #Brussels, #Europe, civic tech, philosophy, public policy on Twitter @WietseVR. 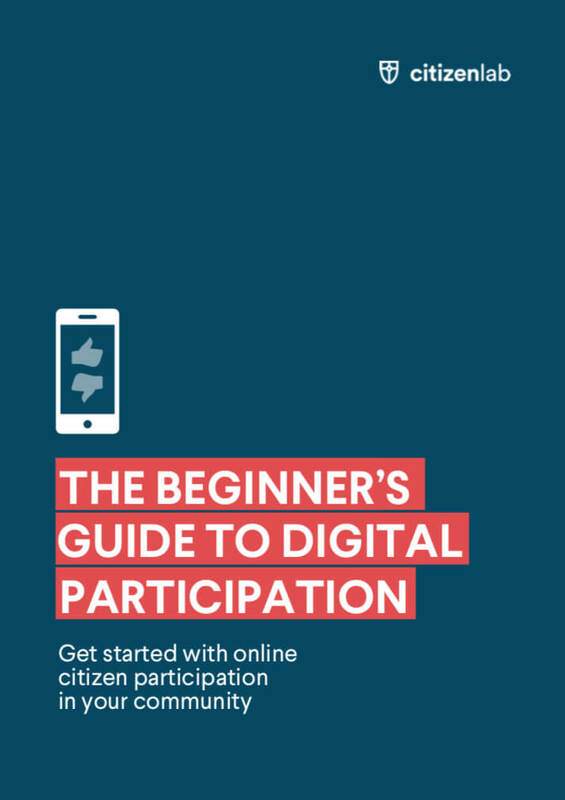 What Makes a Good Online Citizen Participation Tool?